The work of the radiologist extends to MRI (magnetic resonance imaging, which coincidentally does not involve radiation), ultrasound examination and fundus photography in addition to conventional X-ray photography. Radiologists may also be called upon to perform nuclear tests using radioactive isotopes or radiation treatment using high-energy X-rays or electron beams. 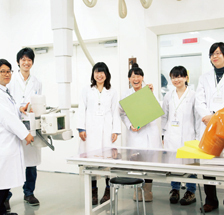 The Department of Radiological Technology enjoys direct access to the nearby Teikyo University Hospital through the affiliation with the School of Medicine Students learn how to deal with the advanced needs of the modern hospital. 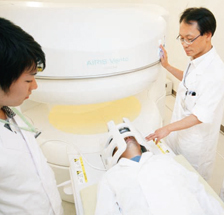 The Department of Radiological Technology boasts an extensive staff of leading physicians and technicians, thanks to its proximity to Teikyo University Hospital. Through clinical training at the hospital, students learn about the key attributes of the modern radiologist, including the role of the health professional, working effectively as part of a team, and engaging with patients. Year 1 topics include an exploration of ethical principles for health care professionals and the objectives and motivations of students seeking a career in the health care sector, along with core studies designed to provide the foundation for subsequent specialization. Year 2 involves a study of the basic principles of medicine and radioactivity. Students will also learn about the latest medical equipment and testing technology. Year 3 sees the introduction of practical components. Through a combination of specialized classwork and clinical exercises in the hospital radiology department, students learn the advanced techniques skills of modern radiology. Year 4 brings together all the work of the previous three years. Students consolidate their learning achievements through ongoing clinical studies and undertake a range of skills tests and exercises in preparation for the national accreditation examination. The work of the radiologist is divided into diagnosis, nuclear medicine and treatment. Diagnosis can involve CT, MRI, ultrasound and X-ray technology. Fundamentals of Medical Imaging Technology is a practical study of X-ray imaging technology. The photograph shows students analyzing a chest X-ray. Chest X-rays can be used to view the heart as well as the lungs, so it is important that the film makes good contact with the front of the chest, where the heart is located. Where the patient is unable to stand, the chest X-ray must be taken on the horizontal with the patient facing upwards. Students learn the key differences between vertical and horizontal configurations. "In addition to knowing how to operate very sophisticated machinery, the radiologist must have a natural sense of empathy and consideration for others," says Hishiki. "This translates into showing sensitivity to patients, particularly if movement is impaired, and taking care to minimize exposure as far as possible." Radiology requires a strong sense of compassion for others. 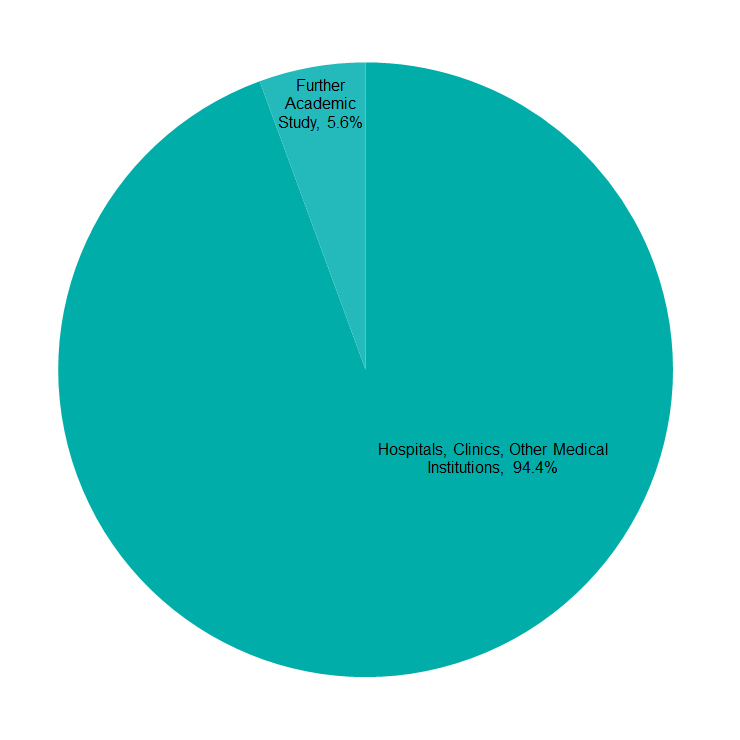 More than 90% of graduates choose general hospitals, university hospitals and similar.